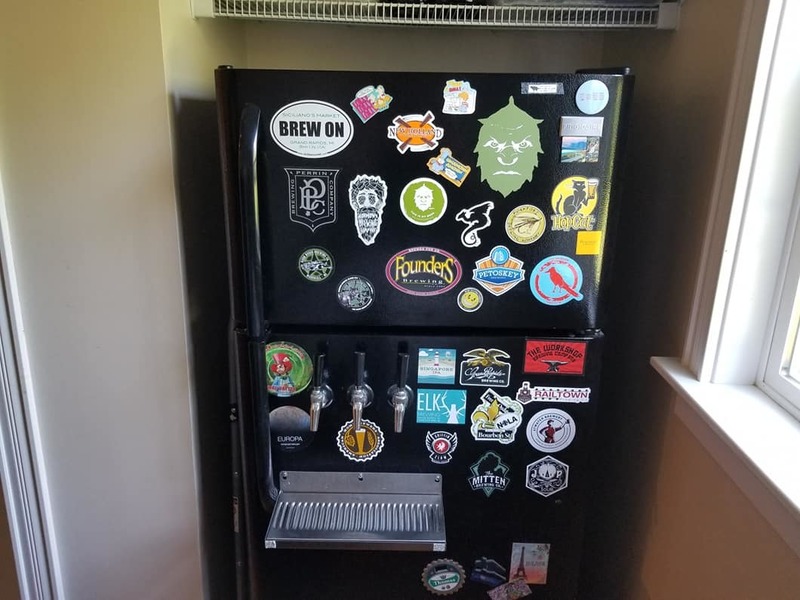 I am figuring out how I want to build a kegerator from a small bar fridge . I would be using corny kegs . Seems like an all fridge is the way to go . Adding a tap tower on top of the fridge seems like the way most people have gone with small fridges . But this has the risk of damaging lines in fridge wall . A tower may also lead to warm beer for the first glass . Is there any reason not to use a shank and tap on the door? It just seems easier to do .I have seen this on larger fridges but not the small ones . Any help from those with experience is appreciated. A friend of mine used to have a small fridge with two taps through the door. It wasn't too bad, other than bending over to pour a pint. I suppose you could elevate it to avoid that. The door is usually the safest place to drill to avoid refrigerant lines. I use an upright freezer and have taps in the door. I love it because there's no need to lift kegs up high like with a chest freezer. A new high efficiency low cost Frig from Lowes or Home Depot is what I did and works pretty good. I also tapped into the front door as mentioned above to avoid hitting any refrigerant lines. I use the Freezer on top to store my hops. I can fit Two 5 gallon and Two 3 Gallon kegs in it but usually just have the 3 kegs in it (5,5 3). 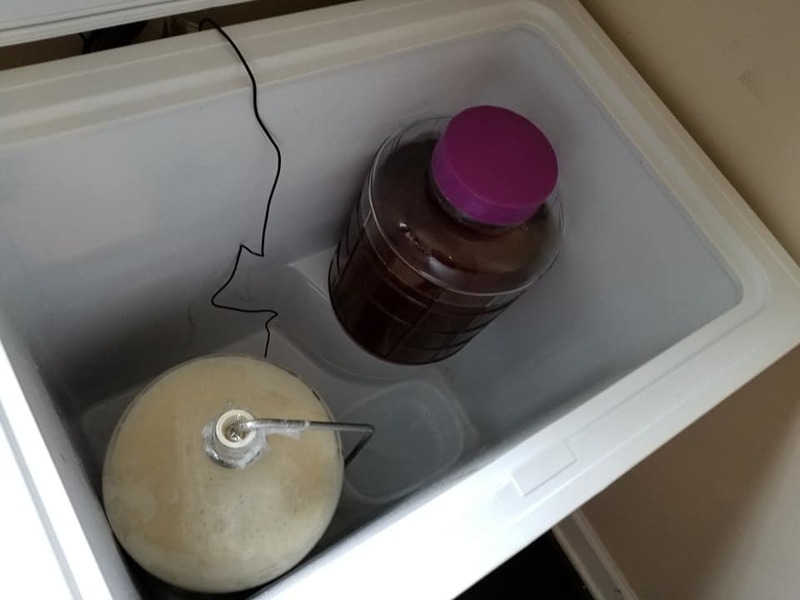 to back up the Beer Frig which I use for fermentation control when brewing lagers, cold conditioning and just plan backups to the 3 taps on the Beer Frig. 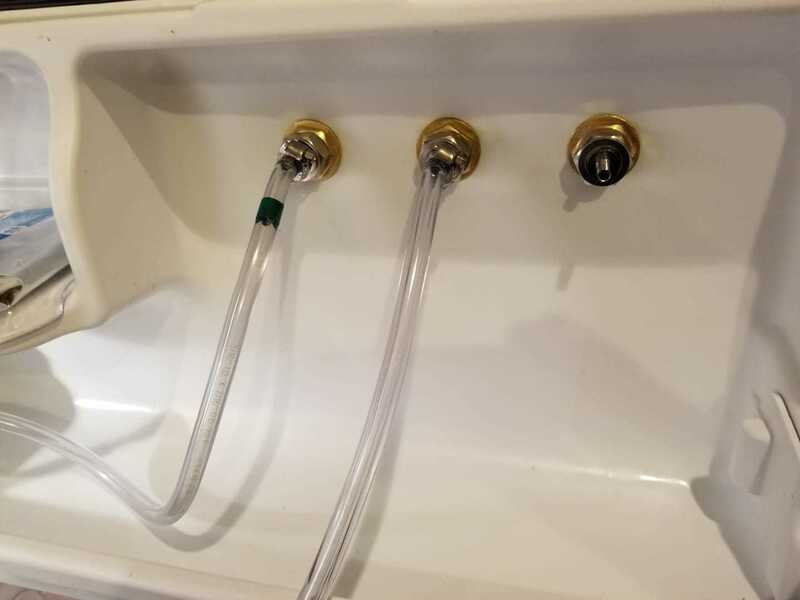 I just recently swapped out the beer line hoses (pic 2). What ever works for you is the best option. You are apparently are a Beer City Michigan area guy. To stay on track, I use a chest freezer but think the idea of an upright is much better ergonomically. There are techniques to go through the side of a fridge but to be safe the door is the best bet.